I must admit, I’ve never seen Sidney Lumet’s 1974 adaptation of Agatha Christie’s novel starring Albert Finney, Lauren Bacall, Ingrid Bergman, Sean Connery, and Jacqueline Bisset, but I am rather interested in correcting that-especially now that we have seen a glimpse of what Kenneth Branagh’s re-make or re-imagining is going to look like. The cast is certainly just as impressive and make no mistake, this first trailer for the film is very much a teaser despite its two minute runtime. Much of the teaser’s time is dedicated to showing the cadre of big names that do indeed star in the film while the remainder is black screens and neon blue text that looks awfully similar to Bates Motel. Maybe Branagh, or rather 20th Century Fox’s marketing department, thought it wise to hue closely to a similar murder/mystery tone of a rather popular and more recent TV show, but all the mystery and implied deviousness is quickly undone as soon as Branagh introduces himself in the role of Hercule Poirot with what I can only assume is an Imagine Dragons song blasting the background. It is shockingly jarring in how much is shifts what it seemed the intended tone was to something of a comic nature. While it’s always nice to have a balanced sense of humor I don’t think Branagh and the gang were going for the kind of mood this trailer leaves us with. It’s an odd choice, but hopefully (and likely) has no bearing on the actual final product we’ll see this winter. Strange music choice aside, this is still a hell of a cast and though we only get a line of dialogue or so from each of them here I can’t wait to see how they play off of one another and if Branagh can pull of something that is both new and inventive while respecting previous incarnations that are obviously well-regarded. Branagh stars in and directs while Murder on the Orient Express also features Johnny Depp, Michelle Pfeiffer, Penélope Cruz, Daisy Ridley, Josh Gad, Willem Dafoe, Judi Dench, Tom Bateman, Leslie Odom Jr., Lucy Boynton, Olivia Colman, Derek Jacobi, and opens November 10th, 2017. 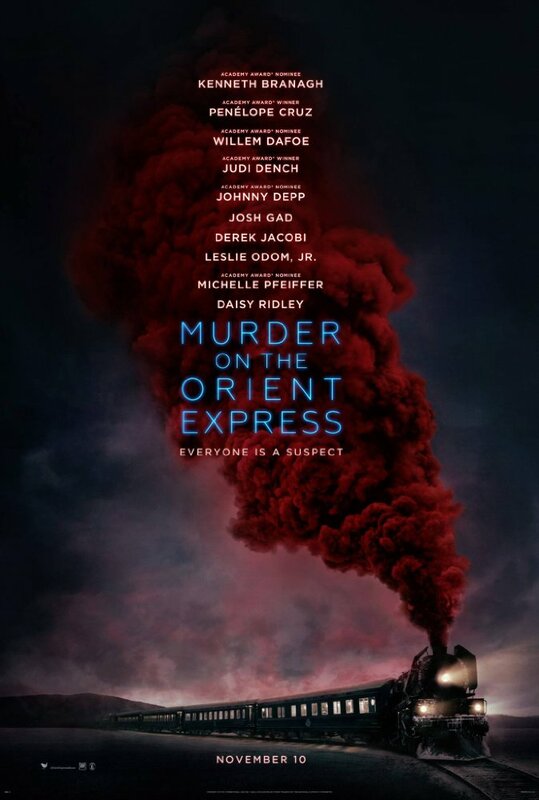 Synopsis: A lavish train ride through Europe quickly unfolds into the thrilling mystery of thirteen strangers stranded on a train, where everyone's a suspect. One man must race against time to solve the puzzle before the murderer strikes again.